My favourite bit about doing my makeup is choosing what kind of eye look I want to go for, whether that is a bronze eye or a bold blue. There are so many options to choose from. So without further ado, I am opening my makeup draw purely dedicated to eyeshadow, enjoy! The Kylie Cosmetics Holiday edition crème eyeshadow in yellow gold. My first crème eyeshadow I have ever gotten, I am yet to use it. I was really surprised at the texture and pigmentation. This blue eyeshadow has been one that I have had for the longest, I should probably chuck it out sometime soon but it's to pretty! If my brain doesn't fail me then I'm pretty sure I got this in year 6 and it was from my K.K (Kris Kringle or secret Santa). 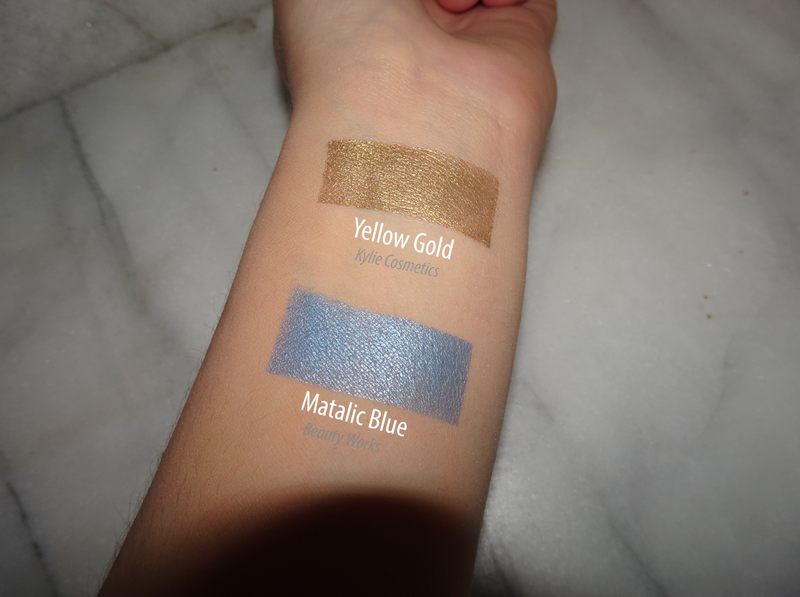 So here they are swatched, I am still so shocked at both of the colours pigmentation. This pallet was my first 'proper' pallet that I owned and I have brought it everywhere. Literally, I took it to America with me which wasn't a good idea because most of the eyeshadows broke whilst they where in my suitcase so once I opened up the pallet the whole surface of the bathroom was filled with red sparkly eyeshadow. Let's just say it was a pain to clean that up. I still use this pallet even though it's broken, I mean it does its job. 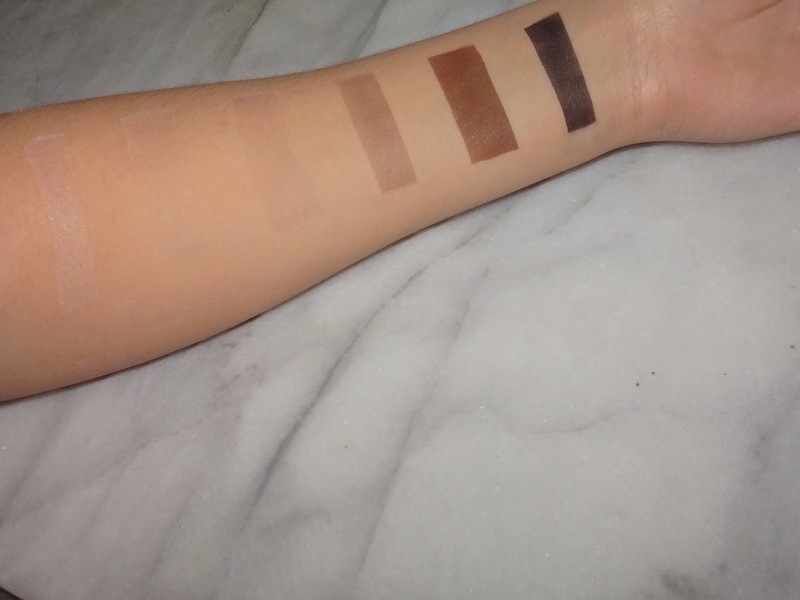 Personally I think this pallet has the most pigmentation out of all of my eyeshadows and I am so glad that one of my friends showed me it at school earlier this year because I always go back to it. The most used shade in this pallet would have to be pearl because it is honestly my holy grail inner corner of the eye highlight shade. I must admit I don't often see myself grabbing for this pallet very much at all, purely because those shades I hardly ever wear. I didn't actually buy this, I went to a show a couple years back and bought the model co show bag and this came with it. 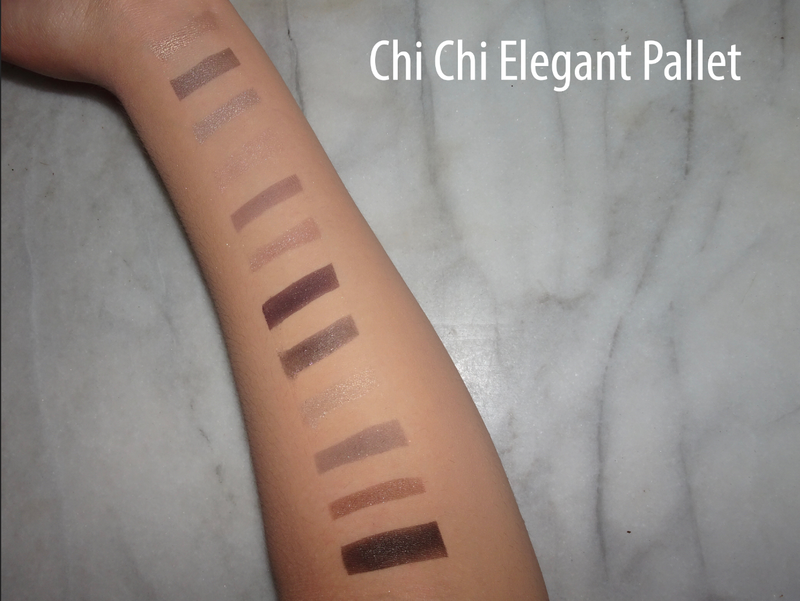 The pigmentation of this trio is not very good, although the purply black shade is very pigmented but the other two shades are not. Unless you use these shades a lot I wouldn't say to purchase it. 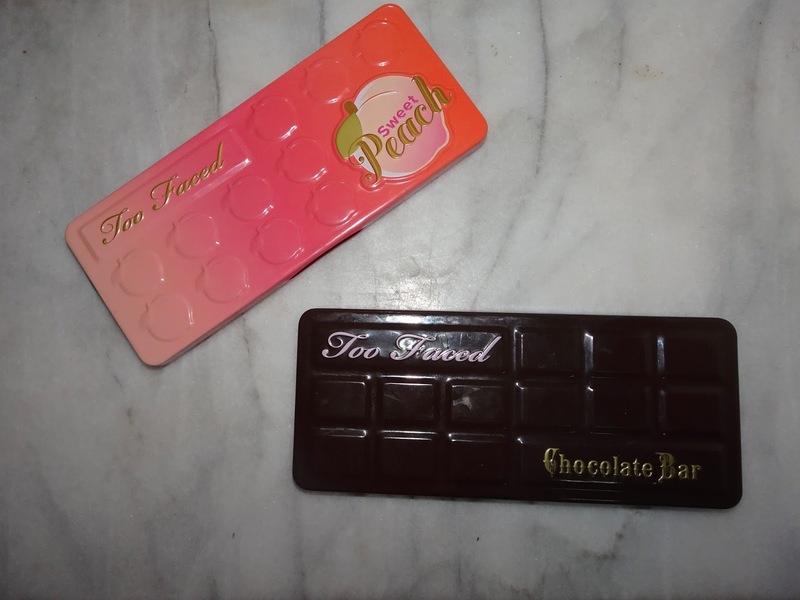 Let me just say that Too Faced it one of my absolute favourite brands at the moment. I love these two pallets. I must say I use the chocolate bar pallet more than the sweet peach pallet but that's because I love a good bronze eye. 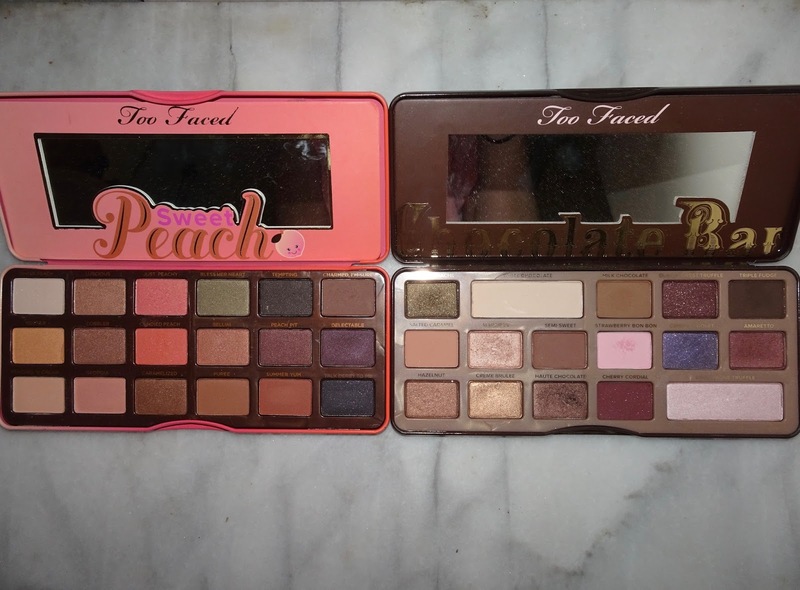 I only really use the peachy shades in the sweet peach pallet because all the purples, greens and black shades don't really appeal to me as much. The chocolate pallet however has great transition shades and marzipan is the most used out of all the shades in the pallet, it's quite different from most gold glitter shades. I never really pick this pallet up because most pallets of mine have great crease or base shades in them. If you really like the natural look than I would say go for this but other wise there's not really any point. Ok let's just take a moment to realise that some how I got the Kylie Jenner holiday edition kyshadow, this is my first purchase of her kyshadows, but I really want to get her burgundy pallet it looks gorgeous. 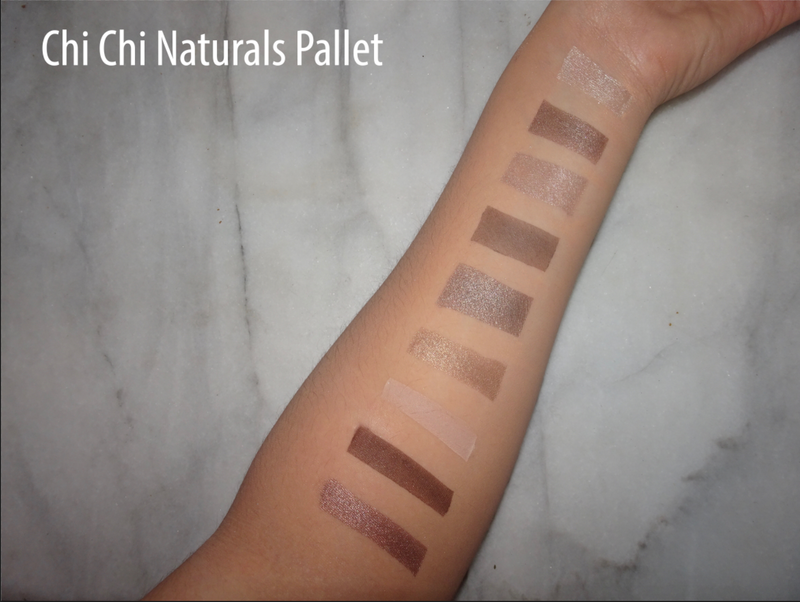 This pallet now has my favourite transition shade called chestnut. I will be using that shade the most out of all of them, guaranteed. 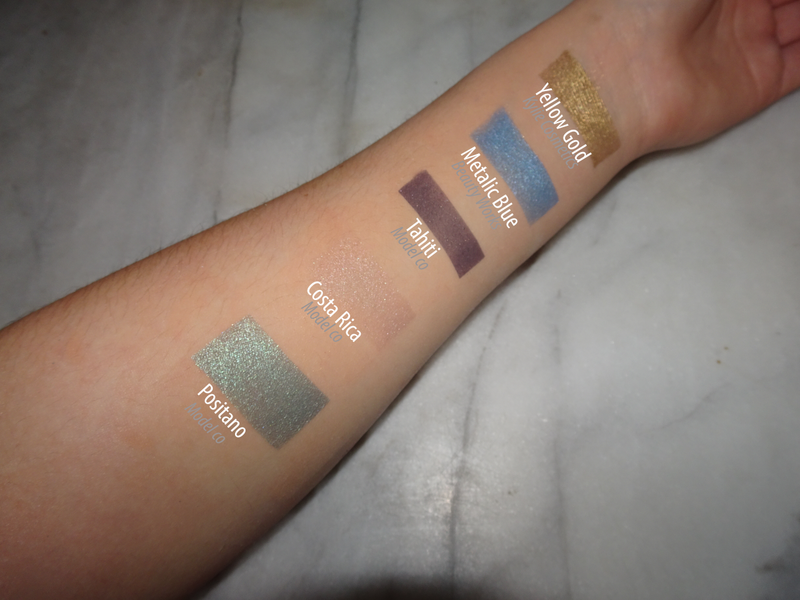 I have only one problem with this pallet and it is the blue, there is not really any pigment in mine at all, when I compare it to when other people swatch theirs it looks so different and it actually looks like a metallic blue where as mine is more of a grey non-shimmery blue. Not sure if that has happened to you but the whole pallet is fine besides the blue. The green is not the best either, pigment wise. 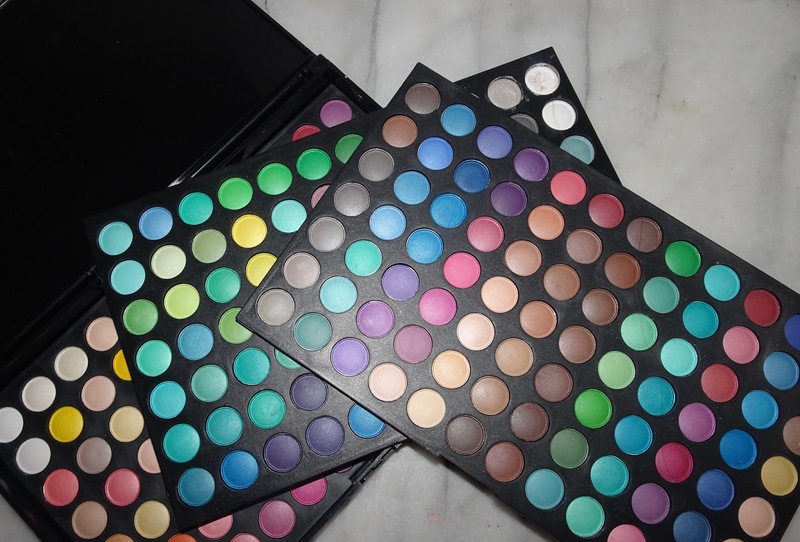 Besides that I still will be using this pallet heaps as I don't usually wear blue and green anyway. All of these shades a so pretty I don't use these pallets enough! I really should though (taking a mental note to use these pallets more often). I have never seen a colour combo work so well when switching them O. M. G.
I probably wouldn't grab this pallet as much as the naturals pallet but the elegant pallet still has some gorgeous shades. 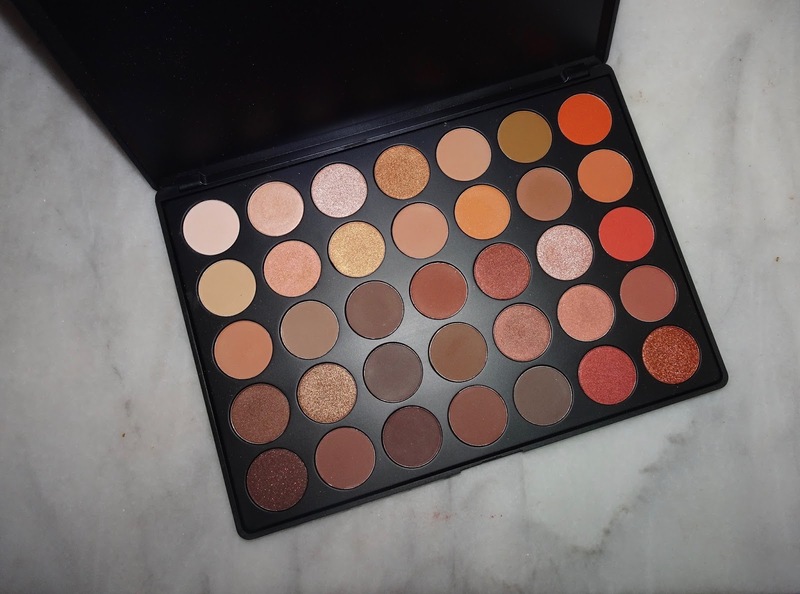 You guys have seen this pallet before, I don't go for it as much these days because for me it's Summer so I usually go for more pink shades, although this has some pink shades I feel like this pallet is more of an Autumn and halloween eyeshadow pallet with all of the oranges and reds. 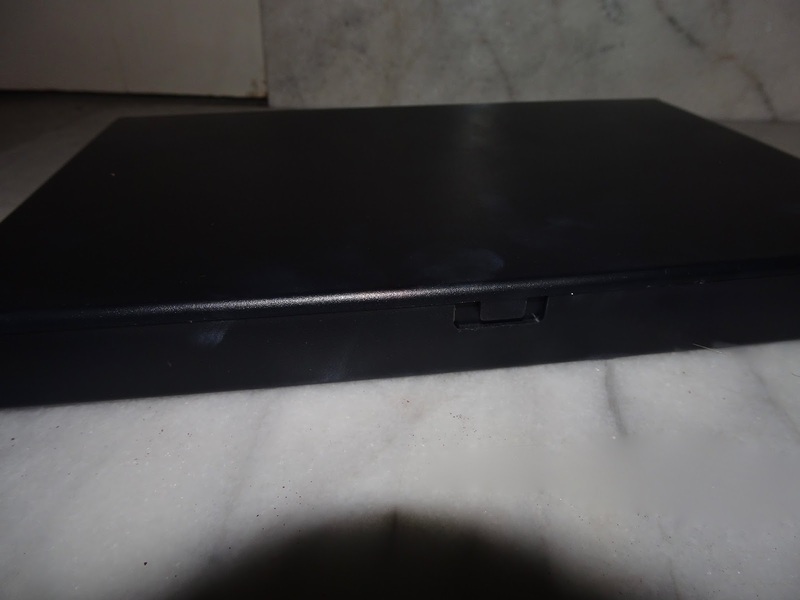 This pallet is probably the cheapest one I own, I got it mainly for halloween makeup looks and for some possible tutorials of celebrities makeup looks. It has something like 150 or 200 different shades. But as I got it off eBay I wasn't expecting it to have the same quality as Morphe but it does the job.